You may have noticed that we are BIG fans of formative assessment around here. And as we meet with educators around the country, we continually find ourselves in (very) good company. What do my students know? What do they still need to learn? How should I adapt my instruction? Unlike it’s more traditional cousin, summative assessment, the formative process embeds checks for understanding into the learning cycle, so teachers can provide personalized learning opportunities based on students’ unique needs. It also helps students track their progress and take greater ownership of their learning. Both super sweet wins in our book. Over the past few months, we’ve shared a series of articles on the ins and outs of formative assessment and strategies to put it to integrate it into your instruction. But we thought it’d be nice to have all that formative know-how in one handy, comprehensive guide. 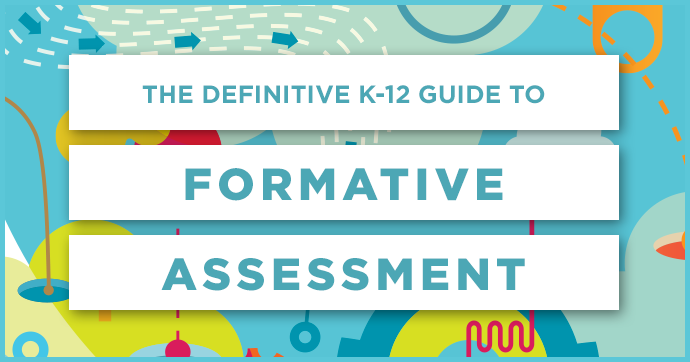 Now you can become the hot-footed, whiz-bang, undisputed champion of formative assessment by downloading The Definitive K-12 Guide to Formative Assessment, a free 20-page resource designed specifically for K-12 teachers and administrators. Whether you’re new to formative assessment or you’re already a diehard believer, there’s something for you in this guide. Looking for a formative assessment solution? MasteryConnect can help you collect more formative data more frequently. View our online demo to see how we may be able to help in your school or district. This week we kick off a special series of articles written by our Client Success Managers. They’ll be sharing insights and best practices designed to help you make the most of your summer months and plan for the upcoming year. Another school year in the books! Your friends are probably already sending the standard “Must be nice…Where are you planning to vacation?” messages. Summers off?! (As a former educator, I’m laughing with you.) Let’s be real: You’ve already planned the staycation in your classroom so you can begin next school year in a less Tasmanian-devil like state. So when we think of the lists and lists of things to get done in the summer, you may be wondering why I’d suggest beginning with long term plan creation. But it makes sense. Imagine the layers of the Earth; the long-term plan is like the crust. It is the outermost layer of your teaching plan and a necessary starting point before drilling any deeper. Creating a long term plan (LTP) will help you avoid becoming overwhelmed in the frenzy that is back to school season. It’ll also help you focus on every educator’s primary goal: student learning. And we all know that doesn’t happen without a specific, charted course of action. Read on for tips I learned by going through the LTP process myself. Before you dive right into the writing your LTP, take the time to answer the questions that’ll help you in the process. What do you want your students to learn? Use your standards to answer this! Your district may also provide a Scope & Sequence or Pacing Guide you can use as guidance. Which standards are “power” or “priority” standards? When working with standards, you may need to prioritize a little. Best place to start is with power standards. How will you know if students have learned? Identify what you’ll accept as evidence of learning or mastery. You may use released interim or end-of-level assessments to review standards-aligned questions or tasks. This helps to identify how your school district or state expects students to demonstrate proficiency and ensures that the level of rigor in your expectation is consistent. If this all sounds a little daunting, hang in there! You don’t have to go it alone. This is a great opportunity to collaborate with your colleagues, whether you do it informally or in your PLCs / teacher teams. Teaming up will help you create a great comprehensive plan while lightening the load. Now let’s get into the details of crafting your LTP. A long term plan is a document or tool that details logical and sequenced standards-aligned learning goals for your course, grouping them into cohesive units that build upon one another. More simply put, your LTP is an instructional plan crafted to help you meet your learning goals (which you’ve outlined by answering the questions above). An LTP is not your textbook’s table of contents, though I’ll personally admit that I’ve used that to drive my own instruction in the past. Major oops and missed opportunity. I learned (and you may have, too) that it’s impossible to cram an entire textbook’s worth of content into a single school year, and there’s often a lot of unnecessary “fluff” between those pages. When I based my plan on a textbook, I didn’t know WHY I was teaching the prescribed content; I essentially allowed it to determine what I should teach and when I should teach it. When I began to use my course standards to drive my long-term planning and leveraged my textbook as a supporting resource, I found that I had more time than I thought I would. I was then able to approach each instructional day with a clear purpose. That purpose was for my students to demonstrate learning of a very clear set of skills, as outlined by the standards that I prioritized. Building an LTP that you’re invested in is exciting. Really. It helped me enter the school year with a PLAN that I was invested in. Additionally, it helped me to get to know the standards that I am accountable to teach, and it was the first step to exercising my creative teaching abilities. My first LTP was built in a Word document. Here’s an example from a 5th grade Science class. In this particular unit, I grouped fifth grade science standards on Physical and Chemical Change. Notice that this precedes types and forms of energy and eventually builds to energy flow and the advanced concepts of photosynthesis. Creating the beginnings of this extensive plan in Microsoft Word is absolutely doable, but it has its limitations. As I moved through the school year, I found the Word doc inflexible. Oftentimes, I would assume a skill would take a certain amount of time to teach; my predictions weren’t always accurate. An LTP is not fixed; it’s a living document. This means it should be constantly informed and manipulated as you gauge student understanding. You should feel empowered to adjust pace to meet your student’s needs. Because I needed more flexibility, I built my LTPs in Google Sheets the following year. You can also use an Excel sheet for this. This still requires a significant amount of copy/paste and cut commands to manipulate standards into logical units of learning. If you’re writing an LTP, I’d like to introduce you to your new best friend: Curriculum Mapping from MasteryConnect. The Curriculum Map feature is IDEAL for crafting your LTP. It allows you to pre-populate your state specific standards and easily organize them into a unit structure, complete with notes, resources, and aligned assessments. Below, you’ll find an example of my 5th Grade Science Curriculum Map in MasteryConnect after having organized it into logical and sequential units. Prior to this organization, the map exists as a list of standards based on the core I chose to align it to. Note that this is a collapsed view: I have the option to expand any unit to view embedded standards, learning objectives, and resources. You can see an example of my expanded unit on Physical and Chemical change below. The Curriculum Map feature in MasteryConnect revolutionized my LTP. And it will help you knock out an awesome plan while saving time in the process. Now is time for you to start crafting your LTP. To help you get started, I’ve rounded up some valuable resources that will provide you with detailed instruction on how to build your LTP through the MasteryConnect Curriculum Map feature. 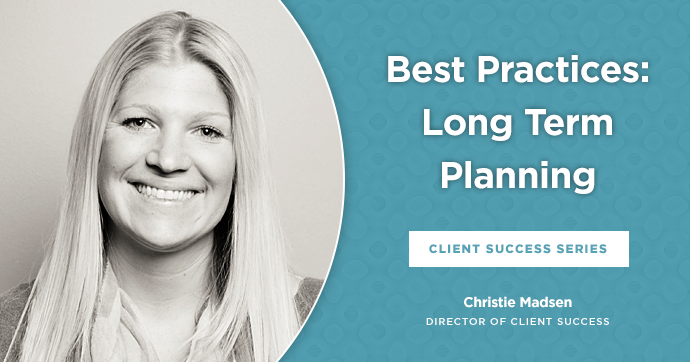 For on-site professional development on using Curriculum Maps for long term planning, contact your Customer Success Manager. And be sure to check back for upcoming articles in our Client Success Series. We’ll be covering topics like unpacking standards, analyzing student data, teaching for mastery, and more! This year, tell ’em the teachers are going to camp! Join us for three days of summer camp awesomeness at the ultimate K-12 event for formative assessment and mastery learning. Join us July 27-29 in beautiful Park City, Utah. Get tickets. 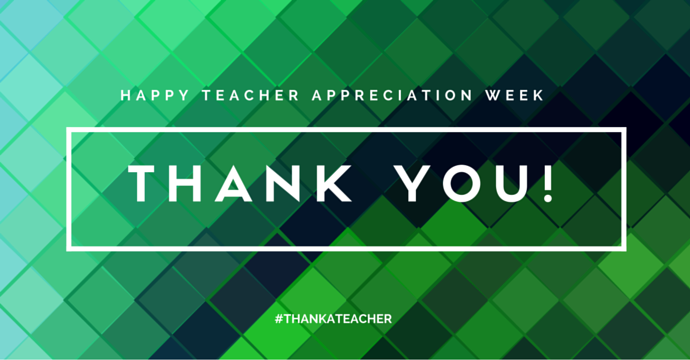 At MasteryConnect, we think every week should be Teacher Appreciation Week. We are lucky to work with teachers and administrators from around the world! who continually inspire us with their dedication and passion for helping students conquer the world. But we couldn’t pass up the opportunity during Teacher Appreciation Week to give a GIGANTIC shout out to all the awesome educators doing great things in classrooms every single day. On behalf of the entire MasteryConnect team, THANK YOU! Earlier this week on our social pages (are you a fan or follower?!? ), we shared video spotlights of two educators, Jenn Robinson and Kevin Rich, who rock our collective socks. And with the already popular article from Samantha Abercrombie, we also launched our guest-blogging series written by actual educators to share their front-line tips, best practices, and teaching stories. Keep your eyes on the blog for more upcoming features and articles like these. Exciting things are in the works! MasteryConnect has a slew of sleek apps for educators—and they’re free! Get solutions for formative assessment, track student progress of state standards, or collaborate with 3 million educators who’ve already joined the community. You’ll want to collect ’em all. 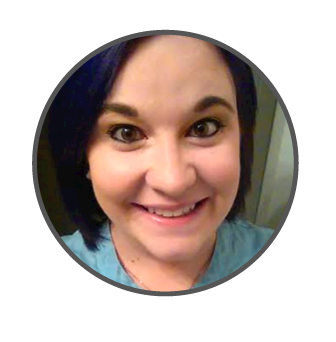 Samantha is a 5th grade teacher in Carrollton, Kentucky. A mastery learning guru and exit ticket ninja, she’s committed to creating better writers in her classroom—and changing her hair color like the weather. Reading. Math. Social Studies. Language Arts. It’s all in a day’s work. And that doesn’t include timely restroom breaks, extracurricular classes, lunch, and recess! How do teachers fit it all in? Like a generous number of my colleagues, I have become quite creative in attempts to cover state-recognized content standards and fill in the gaps with the everyday lessons that ensure students will be successful later in life. My most recent classroom triumph involves using exit tickets to assess student learning. I know, I know… you’re no newbie to formative assessment. But I’ve found that using exit tickets in new ways has helped as I integrate writing with reading, language arts, and social studies each day. These integrated formatives are giving me the biggest bang for my buck–and they actually work! 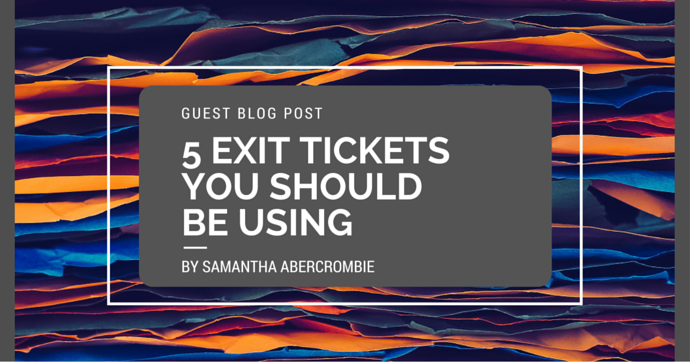 Read on to learn about five creative integrated exit tickets you may not have tried in your classroom…yet! For the teacher that struggles to find time to integrate writing with other content areas, this exit ticket is a must! At the completion of your lesson, ask students to respond to a short-answer question. My students practice the RAP (Restate – Answer – Prove) method for writing responses. This criterion allows for a 3-point scoring scale: three points demonstrates mastery of the content, two points demonstrates near mastery, and one point demonstrates the need for remediation. Determining need for specific students is no longer a challenge thanks to this three-point format. While analyzing student responses, I can sort students into three categories: those who need additional restate instruction, those who need additional content instruction, and students who need additional practice finding/using evidence and proof. During my 11 years of personal observation, I’ve found vocabulary knowledge is a common barrier for today’s elementary learner. To alleviate the deficits this causes, I sometimes ask my students to complete a key terms exit ticket–and it’s one of my favorites. I’ve put a couple different spins on the key terms exit ticket. One is a fill-in-the-blank format, for which students fill in the missing term in a sentence or short paragraph. This strategy allows students to use the term(s) in context, which helps develop a deeper understanding. Another version of the key terms exit ticket involves explaining what the key term means, and then providing an explanation as to how the student knows the definition is correct. We do this by explaining the prefix and/or ending used in the word, and using this understanding to develop a working definition for the new term. While I do not take credit for developing the traditional “fist-to-five” self-assessment tool, I do want to share how I have adapted it to assess student mastery of learning standards. Conventionally, the fist-to-five self-assessment is used to get immediate feedback concerning lesson pacing. The fist means no additional time is needed to complete the task, while five fingers up means at least five more minutes is needed to complete the task. I have adapted this strategy to assess content mastery on paper. I pose a question about the learning target, and the students have to rate themselves on a fist-to-five scale. Once they have given themselves a numerical rating, they must support their thinking with an explanation as to why. This explanation provides great insight into how much the students know about the learning target and how much support they may need moving forward. In addition to this, I have found that students are very honest when assessing their own knowledge. It’s always interesting to me to delve into their minds for a brief moment and learn about them as scholars. Following the lesson, ask students to compare their new knowledge with previous learning using a venn diagram. For best results, assign a specific topic for students to compare and contrast to. This will allow you to easily reward points for appropriate likes and differences. The expectation in my classroom is two differences on each side, and two similarities; this six-point scale makes scoring and analysis easy to accomplish. Another popular exit ticket in my fifth-grade classroom is the summary. Upon completion of the lesson, generally a reading or social studies lesson, I ask students to summarize their new learning from the day. The format we use for a summary exit ticket includes four components: a main idea statement, two details/pieces of evidence, and a conclusion statement. The writing integration in this exit ticket provides great opportunity for student growth. It’s my hope that this article has provided you with some new ideas for using exit tickets to get the most out of the time you have with your students. Because we all know, no matter where you try to pull it from, there are only so many hours in the day. To make the biggest impact with the minutes you do have, the formative strategies I’ve mentioned will help you assess students for lesson knowledge while also growing writers in your classroom. We love sharing stories, tips of the trade, real-world advice, and more from educators like you. If you’d like to be featured on the MasteryConnect blog, let us know! Send an email with your article idea to blog@masteryconnect.com.